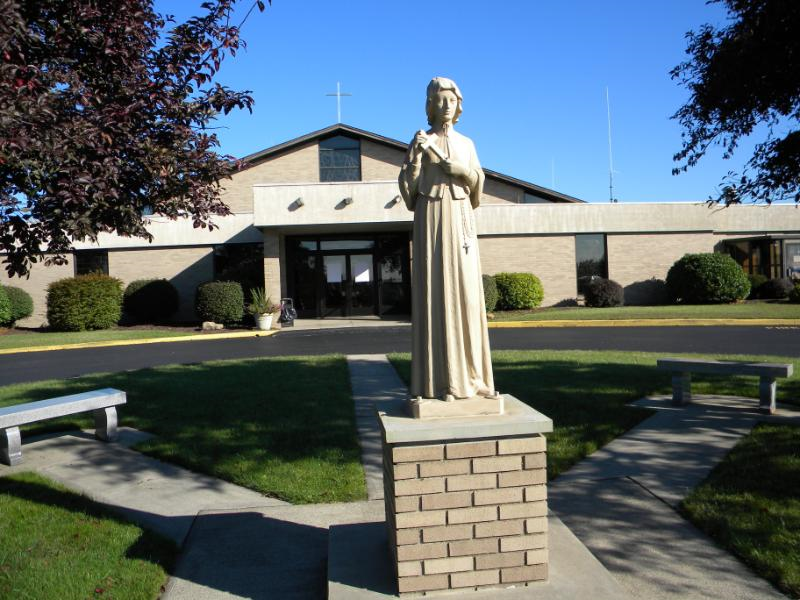 A Parish of the Diocese of Greensburg – A Parish of the Norwin Catholic Community – "A Pennsylvania Charitable Trust"
Who was Saint Elizabeth Ann Seton? 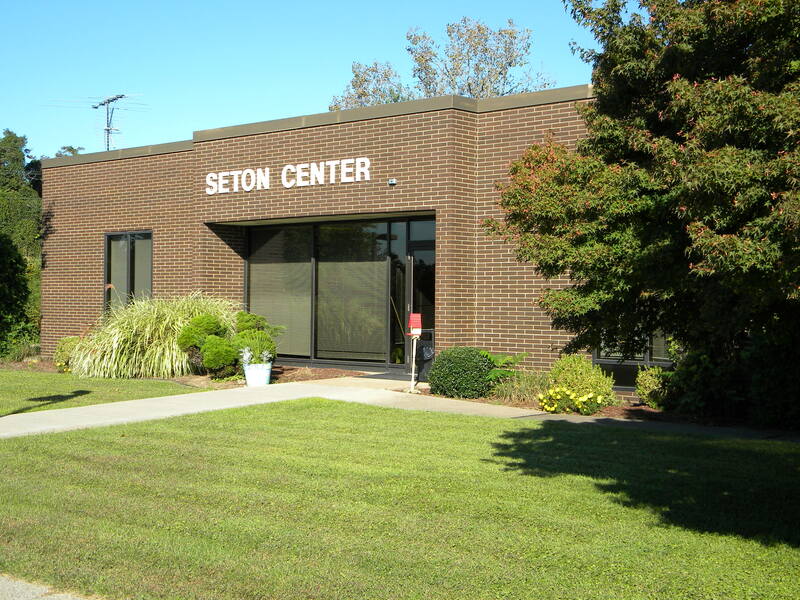 Our Parish Office is located at the Seton Center. Office Hours: Monday & Friday 10:00 am – 3:30 pm. – Tuesday & Thursday 10:00 am-2:00 pm, Closed on Wednesday. Votive Candles – the cost to light a Votive Candle is $3. Please be sure to insert your payment before lighting the candle. Sharing of our time & talents: Looking for a ministry that needs volunteers? Check out the Saint Elizabeth Ann Seton Parish Ministry Opportunities list and sign up to share of your time and talents in one of our ministries. Click here for the Ministry list. Sharing our treasures: Our parish has bills to be paid and a budget to keep, just as you do with your household. If you are a registered member and attending Mass, you should be receiving offertory envelopes. We depend on your donations to keep our parish bills paid. If you are not receiving envelopes, please contact Roseann at the office. The Catholic Accent – the Diocesan newspaper subscription rate is $14. Each family receives in their envelope packet a quarterly envelope for $3.50. Parishioners are encouraged to read The Accent and supports its cost. What does it mean to have a Mass “offered” for someone? Mass Intentions: An individual may ask a priest to offer a Mass for several reasons: for example, in thanksgiving, for the intentions of another person (such as on a birthday), or, as is most common, for the repose of the soul of someone who has died. The suggested Mass stipend is $10. Parish Membership – We welcome all new families moving into our parish neighborhood. Please register at the Parish Office as soon as possible. Families who plan to move from our parish community are requested to inform us. In order to keep our parish records accurate and up to date, we ask that you contact the office with any changes in your household – address or phone number changes and email addresses. If you are 18 years of age or older, have graduated from high school/college, are gainfully employed and still reside within our parish boundaries, it is necessary to be registered as an adult with your own parish ID number, even if you still reside in your parent’s home. Parents, if you have adult children who have married or have moved into their own residence, please call so that we may remove them from your record. Adult children need to be registered in order to serve as a Godparent or confirmation sponsor. Protecting God’s Children – If you have a concern about sexual abuse of a child or young person by anyone in a parish or diocesan position-clergy, volunteer or paid staff-please contact Bishop Brandt’s delegate for matters of sexual misconduct. He may be reached at 724-837-0901, Ext 1221. The Diocese of Greensburg and dioceses across the country have taken numerous actions to protect children from harm by anyone in church ministry. St. Elizabeth Ann Seton Parish was born to serve the needs of our ever-growing faith community. We are spirit-filled, hardworking people, baptized into the Family of God and called to ministry. We gather together to worship, to spread the Gospel Message of Peace, to respond to the needs of all and to love one another. We pledge to become more spiritually alive as a parish, Inspired, Motivated and Challenged by the love of Jesus Christ. We must pray literally without ceasing, I mean that prayer of the heart which is independent of time and place, which is rather a habit of lifting up the heart to God, as in a constant communication with him."